Reason #10: Ski Utah today! If you are longing for waist-deep powder and western sunshine, hop a nonstop morning flight to Salt Lake City. You can hit the tarmac by 10, and be getting nonstop powder shots all afternoon. Park City’s three ski areas, The Canyons, Deer Valley and Park City Mountain, are just a half-hour drive from the airport. 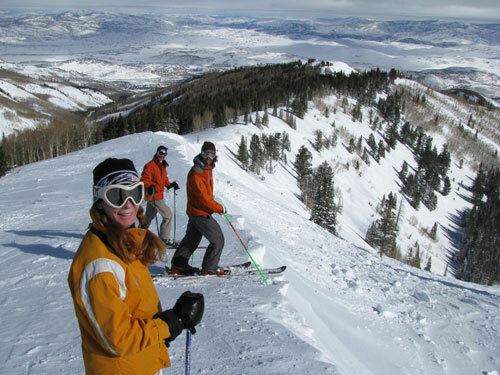 Reason #9: Utah is also home to lesser known amazing ski resorts like Powder Mountain and Snowbasin, an hour from Salt Lake and worlds away from other skiers. Reason #8: Great Western Ski Towns! 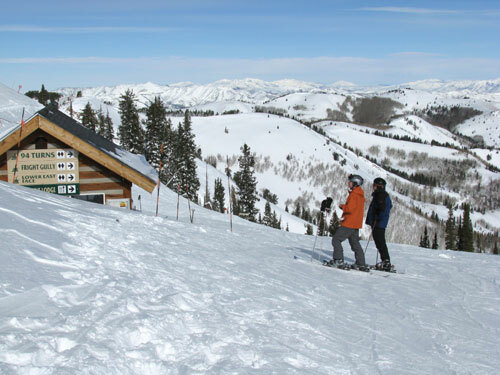 Park City’s 1868 silver mining town is now a gold mine for skiers. The funky frontier Main Street brims with saloons, enough boutiques for après ski retail therapy, and an artsy vibe. 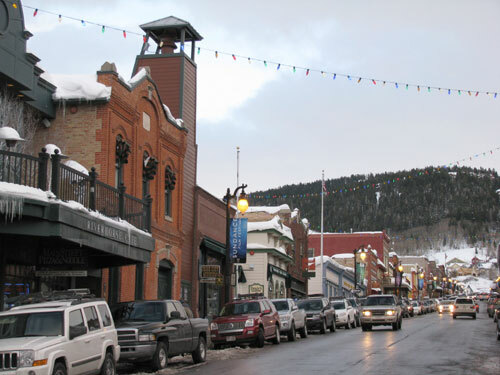 Every January, Robert Redford’s Sundance Film Festival is staged in Park City, but most film festival goers don’t skis – they are all in dark theaters during the day and out partying at night. Reason #7: The Snow! Utah’s powder is trademarked “the greatest snow on earth.” They call it the Great Salt Lake Effect when lake water rises into the clouds, producing squalls of light, fluffy and dry snow that dumps on the nearby Wasatch Mountains. This phenomenon causes an epidemic called “powder flu” – highly contagious amongst skiers – causing extended work absences and irrepressible grins. Utah often receives 400+ inches of snow. Reason #6: Deer Valley is a must for skiers. This #1 rated ski resort (Ski Magazine readers’ poll) is a posh, semi-private ski paradise where the service is as exclusive as the snow. Snowboarders are banned at Deer Valley, and lift ticket sales are limited (buy your Deer Valley lift ticket before you go). Deer Valley has a reputation for first-class service and 2,026-acres of perfect slopes. Empire Canyon has steep chutes and adventurous aspen glades to rock this otherwise regal resort. All this top-notch alpine amusement works up an appetite. 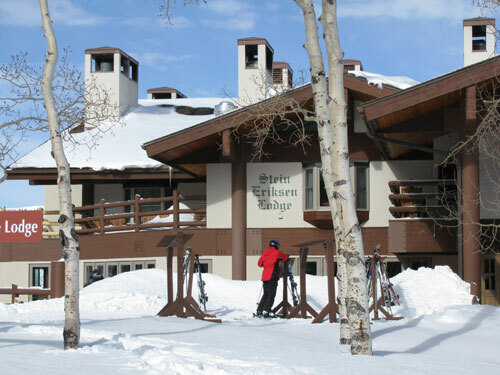 Ski over to The Goldener Hirsch Inn for an Austrian-inspired feast of fondue, or stop by legendary Stein Eriksen’s Lodge for the après ski “see and be seen” scene. Reason #5: Ski where the US Ski & Snowboard Teams train. At Park City Mountain Resort you can push your limits amid 9 bowls and 3,300-acres. 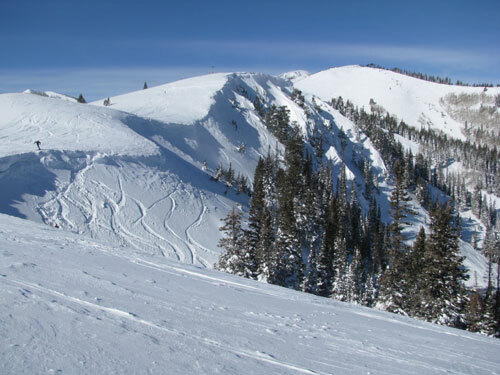 McConkey’s and Jupiter Bowl offer high-alpine high adventure skiing up to 10,026’. Back in the 1960’s skiers would ride 3-mile mine shafts to access the snowy slopes, today you can coast on comfy six passenger quad couches to hit Park City’s signature runs. Park City is now a Vail Resort, on the Epic Pass. 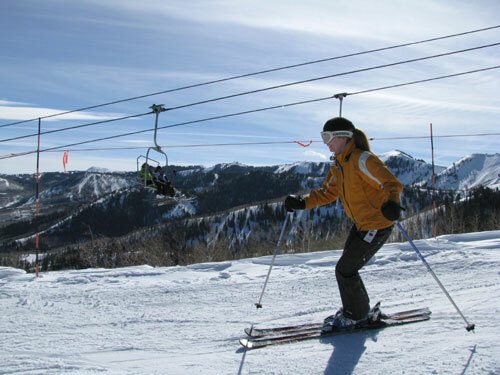 Reason #4: Ski Utah’s largest ski resort. 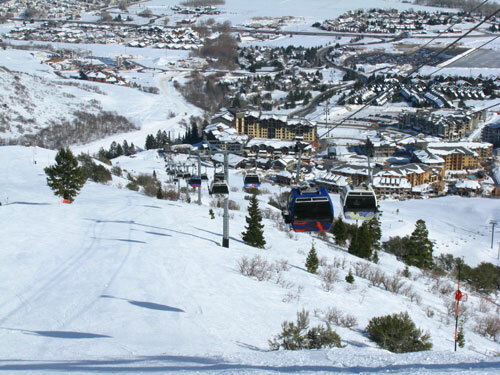 The Canyons is now part of Park City – spanning 17 peaks s and 7,300-acres. It’s not just big – its abundant from well-groomed winding cruisers, to scenic well-spaced glades on Dream Peak, to serious and steep stuff on Peak 9990’. The terrain is western, wide-open and worth two days of exploration. Be sure to lunch at The Cabin at the Canyons! Reason #3: Ride the Olympic Bobsled! Utah hosted the 2002 Winter Olympics, and you can visit all the venues – the moguls and monster jumps at Deer Valley, the Slalom and Superpipe at Park City, the Nordic 90-meter and the official Torch at Utah Olympic Park. For $200, you can ride the full track four-man Olympic Bobsled in 50-seconds. Be warned, it’s “an aggressive, violent minute-long ride during which you will pull 5G’s and 80 mph” – that’s no joke and no refunds are given at the conclusion of the ride. This ride is no amusement park thrill – it’s more like being hurtled over the frozen falls of Niagara in a metal trash can. Reason #2: Spring in Utah = deep snow and deep discounts. 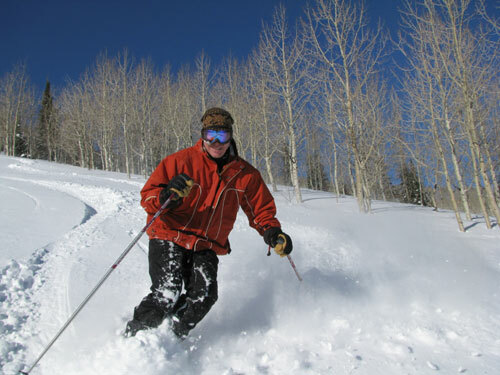 Earl and late season ski and stay deals are big in Park City, often including third or fourth night free or free skiing at participating properties. You can book slopeside lodging for a few nights at the luxurious Montage, St Regis, the revered Stein Eriksen Lodge, or the Grand Summit at Canyons. Reason #1: Utah resorts are an easy trip. What are you waiting for? Utah skiing is less than a day away. The sun is high, so pack your sunscreen; the snow is deep, so bring a snorkel; and the ski and stay deals are sweet.